In 1993, the church was launched under the name “Trinity Christian Center” by founding Pastors Dino and DeLynn Rizzo in Baton Rouge, Louisiana with the mission to be a healing place for a hurting world. 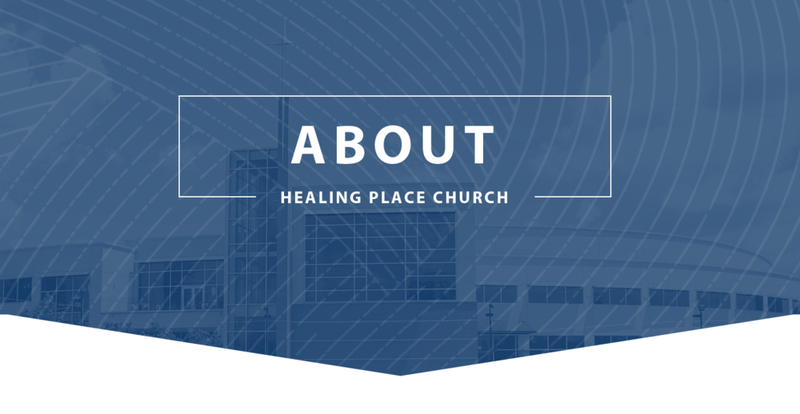 We changed our name to “Healing Place Church” in 2000 to better reflect our heart as a church. In 2013, Mike and Rachel Haman became the Lead Pastors of the church and continue to steward this vision and mission that has driven us for over 20 years. We believe that the Church should be quick responders to crises around the world - whether devastation from a hurricane, or the havoc wreaked by tsunamis. We are deeply involved in caring for AIDS orphans in southern Africa and for the poor in our own community through home cooked meals, medical outreaches, concerts, festivals, family days, outreaches and giveaways. We also support missions work through strategic partnerships in 21 different countries. We believe it is this heart that has allowed God to bless Healing Place Church with such tremendous growth. As we grow, we are striving to continuously cultivate a spirit of excellence and Jesus-style servanthood among our staff and volunteer leadership. Our passion to reach an ever-changing culture has incited us to use some of the latest media technologies to extend our reach. And, over the last several years, God has opened up opportunities for us to multiply our locations. We are simply taking the message that has been at Highland Road for years and bringing it to strategic places all around the world. We truly believe that God’s Kingdom will grow by building life-giving environments throughout the world. HPC is now expressing Christ in several different locations, including a Baton Rouge Dream Center, two Campuses in Africa, one in Honduras and an interactive web campus. These are exciting times for the church, and we believe God will allow us to discover more and more opportunities He has for us to reach the world by serving One. In the beginning of 2010 we moved into our new Healing Place Church Arena, which has opened up the door for us to reach out to countless others in the Baton Rouge community. At Healing Place Church, when all is said and done it is all about Jesus – serving Him by being a healing place for a hurting world. Healing Place College continually changes and expands to provide quality environments and opportunities for individuals to truly be a healing place for a hurting world through the local church setting. In August 2003, the vision of Healing Place School of Ministry began with classes offered in the evening and ministry internship opportunities throughout the week. These classes and opportunities were and still are optimum for a variety of life stages: stay-at-home moms, business professionals, college interns and those looking to step into full-time vocational ministry. Through God’s direction to expand discipleship opportunities, Healing Place School of Ministry introduced its Full-Time option in August of 2005. In August 2007, more momentum was gained as we blended hands-on ministry with nationally accredited Biblical studies. Most recently in Fall of 2016, we changed our name to Healing Place College to reflect the first offering of regionally accredited college courses through the school.